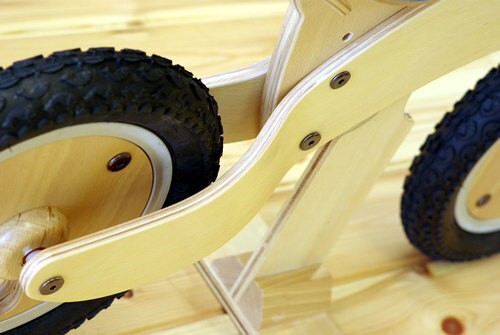 There are lots of wooden toys in Germany and Canada because they have sufficient forest resources. This wooden bicycle is one of them.People say if kids want to ride a bicycle soon, they need to acquire a feeling of balance. 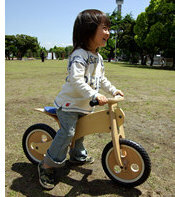 This product does not have pedals so kids can kick the ground with their feet and goes forward by it self. It means kids can easily get the feeling of balance by running with the BENT WOOD CYCLE. 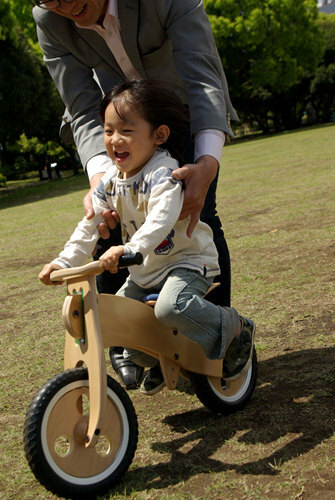 Also it is easy for kids to handle because the weight is only 4kg. 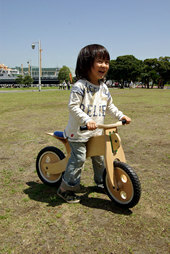 That is the reason why it is made of wood. 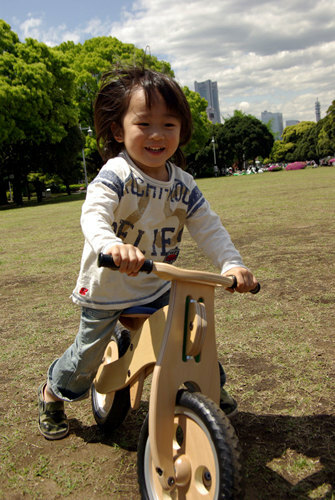 Also, it is hard to fall down because the handle of the bicycle has a gentle curve, so kids can learn how to ride the bicycle through playing. 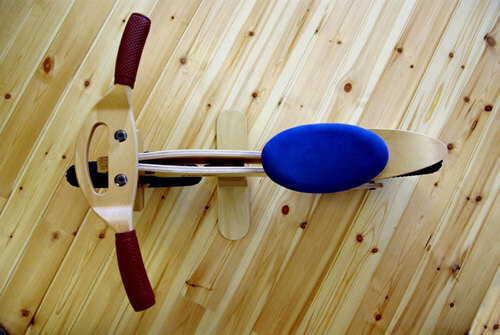 Please teach your kids how to ride a bicycle by this BENT WOOD CYCLE. It can be used both outside and inside the house. 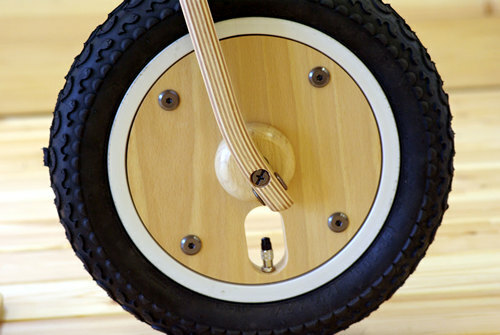 After your kids have grown up, you can use it as furniture or ornament. Please treasure it as you would your family photo album. 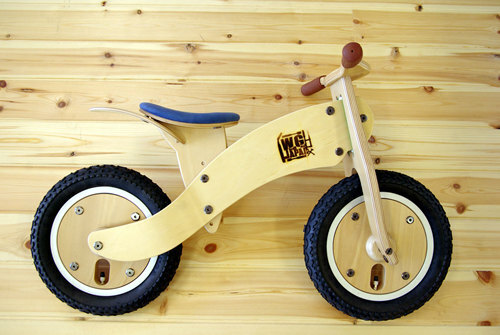 The BENT WOOD CYCLE is rated highly because of its excellent design. Even if they have some scratches or marks that become unforgettable memories with your kids' growth. 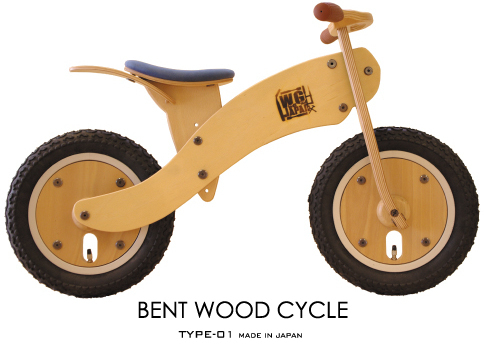 Someday when all kids will have grownup, got married, and had babies, the BENT WOOD CYCLE will always be with you through the generations. This is our principle. 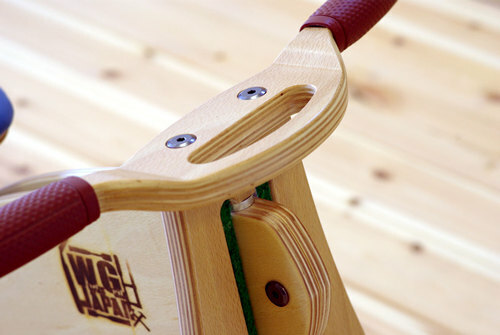 Each part of The BENT WOOD CYCLE is able to be changed and maintained so you can use our product for a long time. 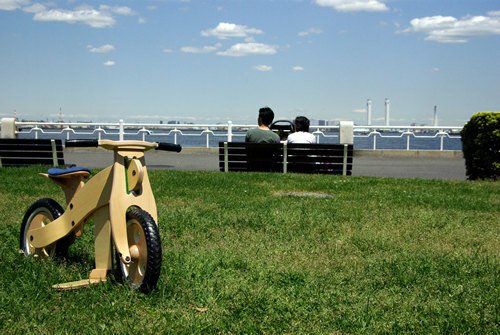 Copyright © "Works Guild Japan" All Rights Reserved.